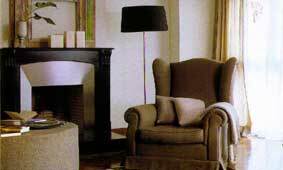 In this look at fireplace styles, I’ll provide you with information on modern trends in interior decoration with regard to fireplaces. Rustic This style is usually adopted in a country home or recreated in a different setting. It is characterized by the use of natural materials whose color and texture are unaltered, such as unpolished stone, handmade bricks, or wooden beams. Often this rustic style is accentuated by the use of decorative accessories that aim to bring out its rural character like handcrafted furniture and ramie cotton cushions. 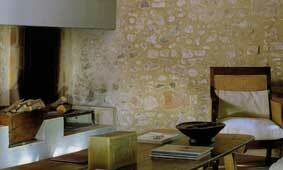 While often seen in vacation homes, it’s also used for urban interiors with a modern rustic touch. Classical These are fireplaces with a traditional design that recreates decorative motifs from Roman or Greek architectural styles. The decoration is usually focused on the frame surrounding the mouth of the fireplace, where polished stone is the most common material. 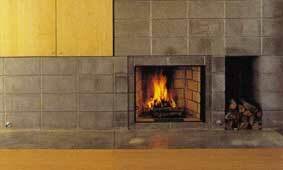 The fireplace is partially built into the wall and the mouth is usually flush with the wall, or protruding slightly. 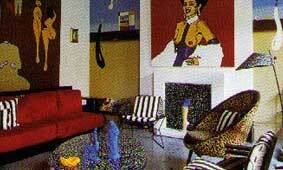 The contemporary version kept decoration to a minimum. Modern The fireplaces in this style follows the rules of contemporary interiors and are characterized by a lack of ornamentation. 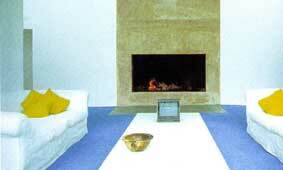 It is based on a functional and practical approach to the fireplace, often reducing it to its bare essentials. There is complete freedom in the choice of materials, as the final result mainly depends on the formal composition of the design. From experience, there is a preference for an outer coating of plaster or stucco, which makes the composition more flexible. Minimalism As an aesthetic approach that seeks order, equilibrium and the essence of form, minimalism in fireplace styles is linked with function. It eliminates as much ornamentation as possible, and is characterized by an almost total absence of color and the use of fine materials applied with the utmost sobriety. It is based on ancient Asian philosophies that focus on tranquility, equilibrium, and inner space. Given that it seeks an utilitarian and formal essence of the object, minimalist fireplaces requires a lot of work to design and build a functional heating system. Maximalism This style is the direct opposite of minimalism as it creates over-elaborate and highly adorned settings with objects of diverse origins. This style is based on cultural, formal and material eclecticism. Its expressiveness is boundless, almost theatrical, and it revels in an array of textures, bright color, fine materials, and a touch of kitsch. When this style is applied to fireplaces, the result of often a revision and reinterpretation of classical styles with abundant doses of creativity.